* Article originally published October 2012 by Chris Dawson MPHA (Qld). The Inside History book In Heavenly Garb: The headstones of the Ipswich General Cemetery was released in 2012. * It was put together by Tracey Olivieri and myself and the printing was funded by the Ipswich City Council's 'Viva Cribb Bursary', which enabled us to produce it in glorious glossy Technicolor. 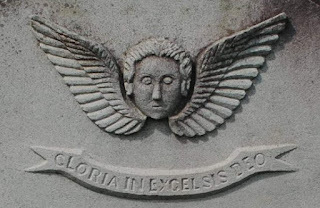 The primary subject matter is the symbology that can be found on the cemetery headstones in Ipswich. We've been here before with Rock of Ages: South Brisbane Cemetery symbolism, but this work is more in-depth, using the headstones to tell a history of the cemetery and Ipswich itself. The idea came from Tracey's work on the Ipswich City Council's Historical Cemeteries Project, when she was recording headstones in a number of old cemeteries across the city. I was later employed on the same project myself. Having already worked on Rock of Ages, she was struck by the variety of headstone symbols she was seeing in those cemeteries, symbols that we hadn't seen in South Brisbane. After scouting around the cemetery some more we reckoned there was enough to justify a whole other book on the subject. In the process of writing these books I think we became nerdy headstone-spotters, a bit like birdwatchers, always with an eye open for something new whenever either of us are in a cemetery. If we do see something new somewhere there's always a flurry of photos and emails afterwards. A bit sad maybe, but we have recorded dozens of different symbols from various Queensland cemeteries. 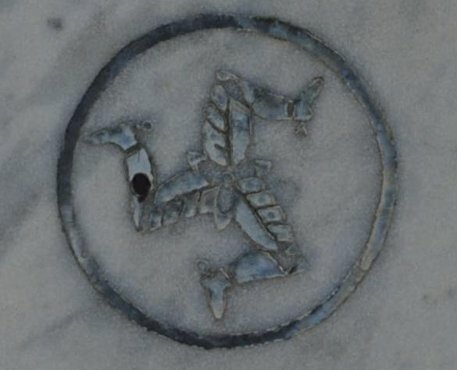 Despite us having done two books on the subject, there are still quite a lot of other symbols we have found in other local cemeteries that we haven't used yet. 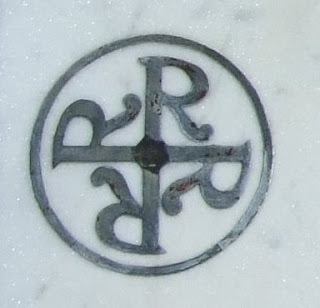 Above - The Four R symbol of the Apostolic Church. What do the four R's stand for? Buy the book to find out! Above - Triskelion: Symbol of the Isle of Man. Above - R.I.P. : Requiescat in Pace, Rest in Peace. 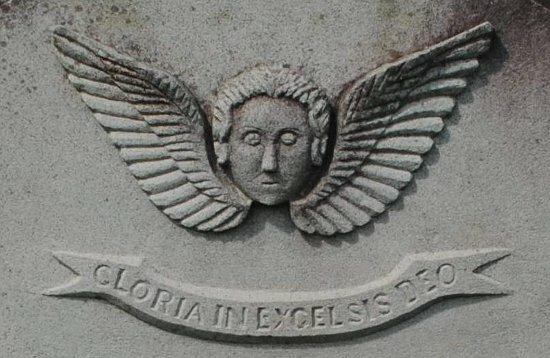 Above - Winged face: 'The soul in flight'. Above - Heptagram: Used in Jewish mysticism and the Gnostic tradition, the seven points also represent the seven days of Creation. In Heavenly Garb can be purchased for $15 (plus p and p) by emailing info@boggoroadgaol.com.au for details or buy online here.